Head of the European Jewish Congress condemns ISIS attack on a church in Normandy. Tuesday's attack on a Catholic church in northern France that saw an 86-year-old priest killed is an attack against all religions, the head of the European Jewish Congress said, according to JTA. 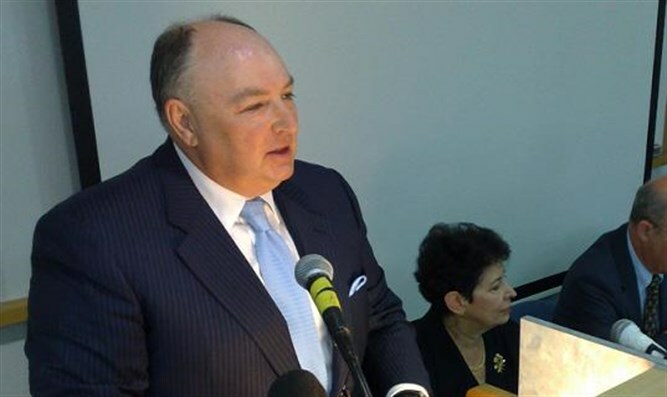 “An attack against a religious institution and a man of God is an attack against all religions and faith itself,” said Dr. Moshe Kantor, president of the European Jewish Congress, in a statement following the attack. “This dastardly attack will only strengthen our resolve to defeat the enemy of Islamist terrorism,” added Kantor. “This attack targets us all decent Europeans, Christians, Jews and Muslims alike,” he stressed. Tuesday's attack occurred when two terrorists stormed the Catholic church in the northern town of Saint-Etienne-du-Rouvray during morning mass, slitting the throat of the priest and leaving a worshipper with serious injuries. The attack was claimed by the Islamic State (ISIS) jihadist group. Israeli President Reuven Rivlin called on the free world to "fight to defend" our values in the wake of the attack. "This attack shows the true face of the brutal nature and horror of terrorism," he said. "This is an attack by radical extremists, terrorists, who have struck at the very symbol of peace and murdered in cold blood in a house of God, while they pretend to speak in His name." Rivlin also said that Israel "stands side by side with the people of France." "The whole free world must understand that our values are under attack. We must fight to defend them, lest we be overtaken by waves of intolerance and hatred," he said.